The 2018 Jeep Wrangler JK is a far cry from the old-school, utilitarian Jeeps of decades past. 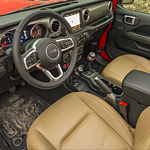 With interior comfort that rivals a modern passenger vehicle and rugged, on-trend exterior styling, you’re sure to discover that the Jeep Wrangler JK is just right for you and your unique take on life. Whether you prefer the security of a hard-top or you love the feel of the wind in your hair, you’ll find exactly what you’re looking for with the Jeep Wrangler JK. There is power, and then there is a monster strength like no other. The Dodge Charger SRT 392 and 6.2 SRT Hemi SRT Hellcat models deliver the latter amount of force with ease. The Charger SRT 392 puts out a whopping 485 horsepower and 475 pound-feet worth of torque. This model is great on the racetrack as well as ideal when taking the kids to school and soccer practice. You can also enjoy the road in all of its glory with all of that horsepower underneath the hood. Your Lease Is Ending Soon: What Are Your Options? The Jeep brand is no stranger to the outdoors. Through their strong lineup of vehicles equipped to conquer the trickiest terrain, Jeep has built a brand on rugged capability. 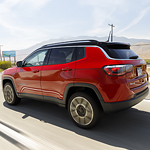 The all-new 2019 Jeep Cherokee Trailhawk certainly follows in the Jeep brand’s heritage and adds some amazing new features for the modern age. So, what’s this crossover vehicle all about? We’ve got the lowdown on this all-new model—read on to learn about some of our favorite features. Jeep is known for creating some really durable and rugged vehicles that will get you through all kinds of terrain. If you aren't one for off roading and just simply want a vehicle that can get you from point A to point B in the worst of weather conditions, you might want to take a look at the 2018 Jeep Compass. This is a more compact vehicle that from the exterior looks very simple. When you get into all of the features that it includes you are going to be sold on this model. The 2018 Jeep Wrangler is fully capable of getting you to your destination no matter how tough the terrain may be. This is because the popular mid-sized SUV utilizes tough engines that deliver impressive power.